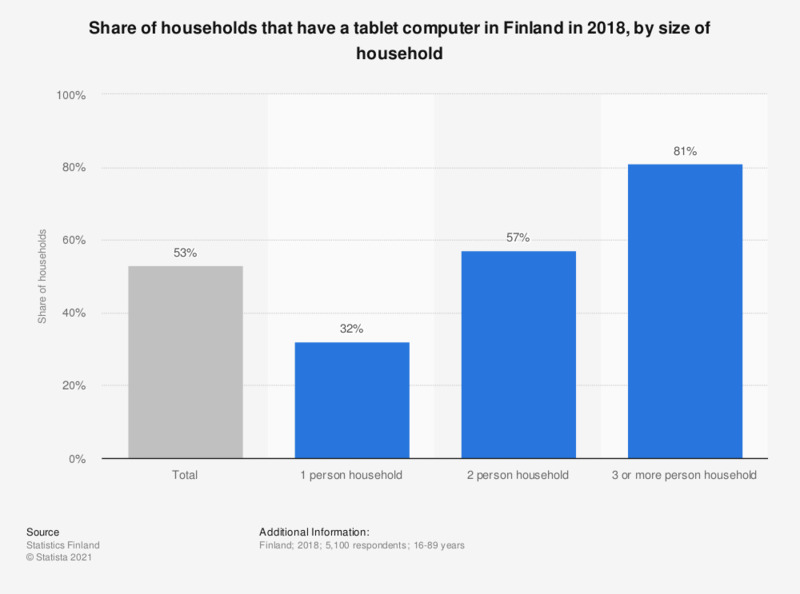 This statistic shows the share of households that had a tablet computer in Finland in 2018, by size of household. Tablet computers were the least common in one person households with 32 percent. The share of all households in Finland that had a tablet computer was 53 percent.